David is a retired police officer based in Inverness with over 45 years fly fishing experience all over the UK. Over the last ten years he has been heavily involved in competitions and has fished at both police and full International level. David was a member of the Scottish Fly Fishing team that one gold in the Spring International held at Lough Conn in May 2010, and will represent Scotland again at the Lake of Menteith in September 2015. He is the current holder of the record brown trout caught on fly at the Lake of Menteith weighing 10lb 15oz. 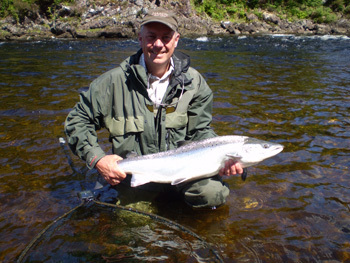 David is an experienced salmon angler and has fished most of the well known salmon rivers in the Highland area, including the Thurso, Helmsdale, Brora, Ewe,Oich, Findhorn, Moriston, Carron (west and east) Spey and the Ness. David also does some part work at Ness Castle as a ghillie. Appropriate good quality tackle can be provided for all teaching. 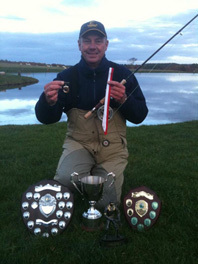 Davids aim is to teach individuals or small groups whether they are beginners, intermediate or experienced fly fishers. In the case of beginners he is delighted to help you catch your first fish on the fly. Scottish Game Angling Instructors Certificate (SGAIC) Trout / Single Handed Rod. Scottish Game Anglers Instructors Certificate (SGAIC) Salmon / Double Handed Rod. Appropriate good quality tackle can be provided. David welcomes any enquiries on all aspects of fly fishing and looks forward to hearing from you.